← Hot Week: Mason’s HOT Cinnamon DOTS from the 80’s! Hot Week: Cinnamon Teddy Bears! 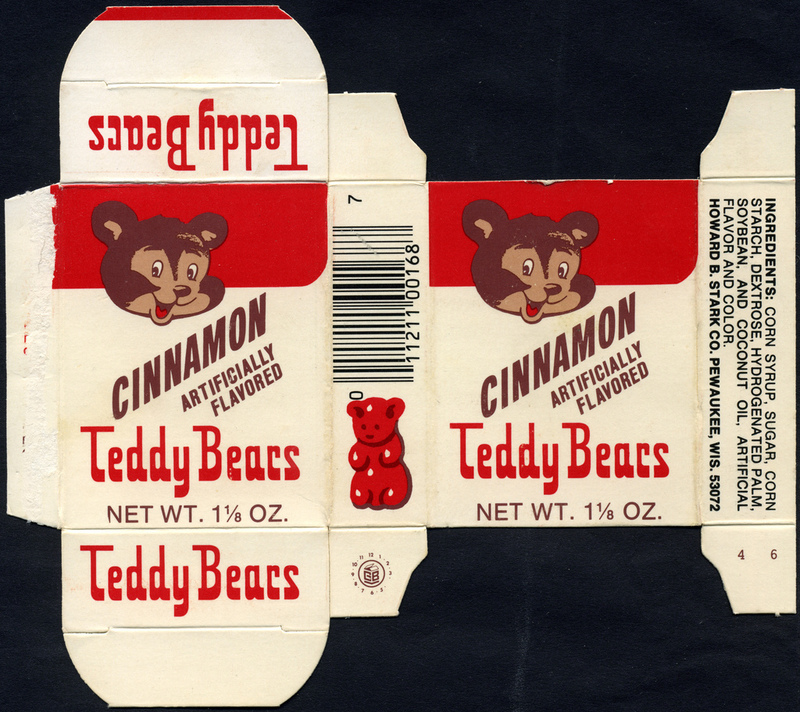 For today’s Hot Cinnamon Week post, I wanted to cover a childhood favorite of mine: Stark’s Cinnamon Teddy Bears! Sold by the Howard Stark candy company in the 70’s and 80’s (and maybe into the 90’s), Teddy Bears were a small hot-cinnamon flavored gummy-type bear. The odd thing is that when I was enjoying these as a kid, I’d never heard of gummy bears. So the first time I encountered any kind of gummy bear, I saw them as rainbow-colored Cinnamon Teddy Bears. That one is pretty cool, isn’t it? 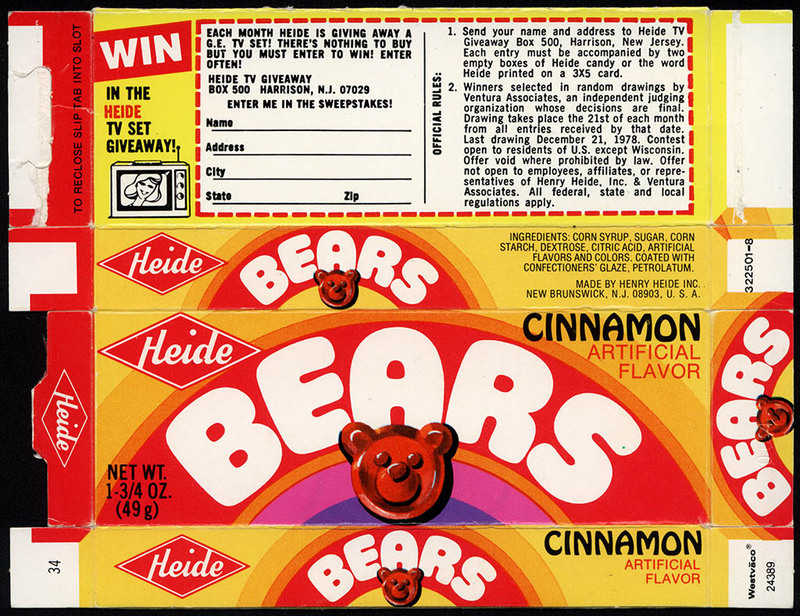 Based on the box design, I’d speculate that Heide might have produced other flavors of Bears candies, but I can’t be sure. These days, it’s not easy to find hot cinnamon bears at retail. But they are still out there as I found at least one company that still advertises them as part of their product line. 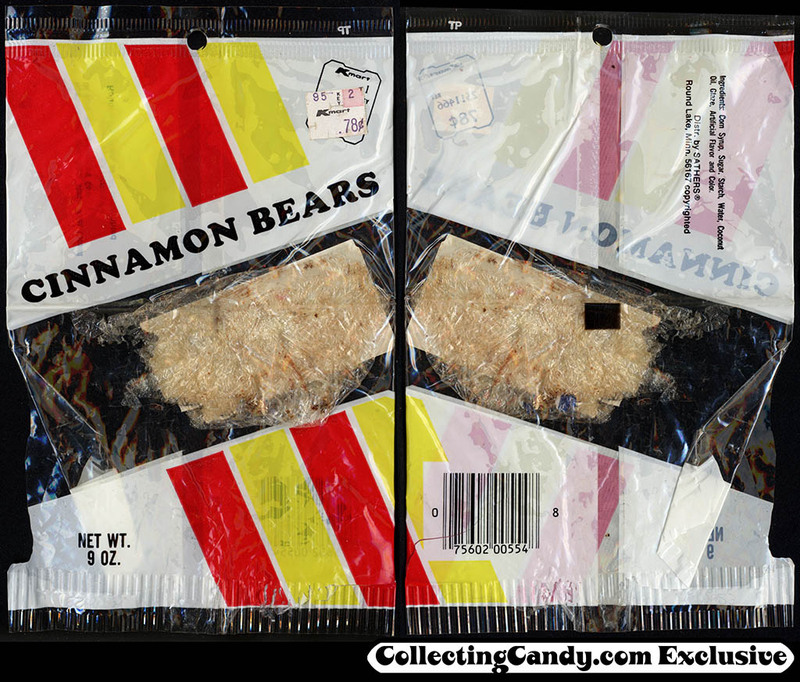 While they might be considered a bit old-fashioned or old school these days, Hot Cinnamon Bears will always be a childhood favorite I look back on with tremendous fondness. And that’s all for today’s entry in our Hot Cinnamon Week. 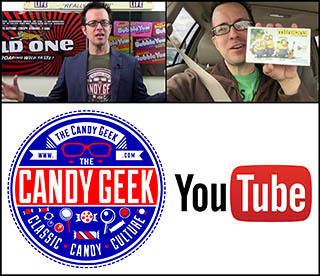 This post was a part of CollectingCandy.com’s Cinnamon Hot Week! 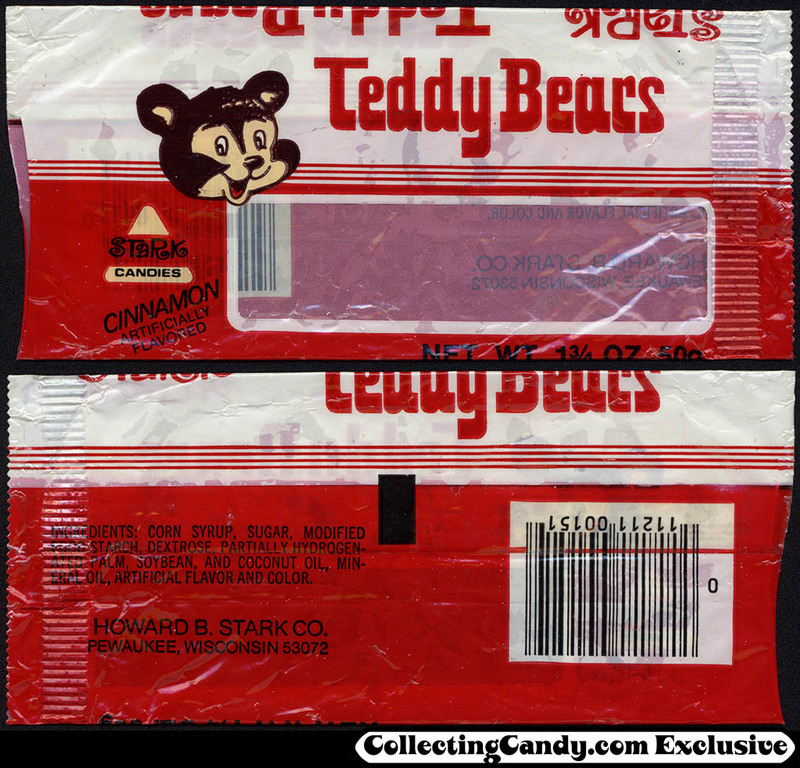 This entry was posted in 1970's, 1980's and tagged candy collecting, candy collection, candy collector, candy wrapper collection, candy wrapper collector, collectible, collecting candy, confectionery, confections, packaging, sweets, vintage candy wrapper, wrapper. Bookmark the permalink. 2 Responses to Hot Week: Cinnamon Teddy Bears! 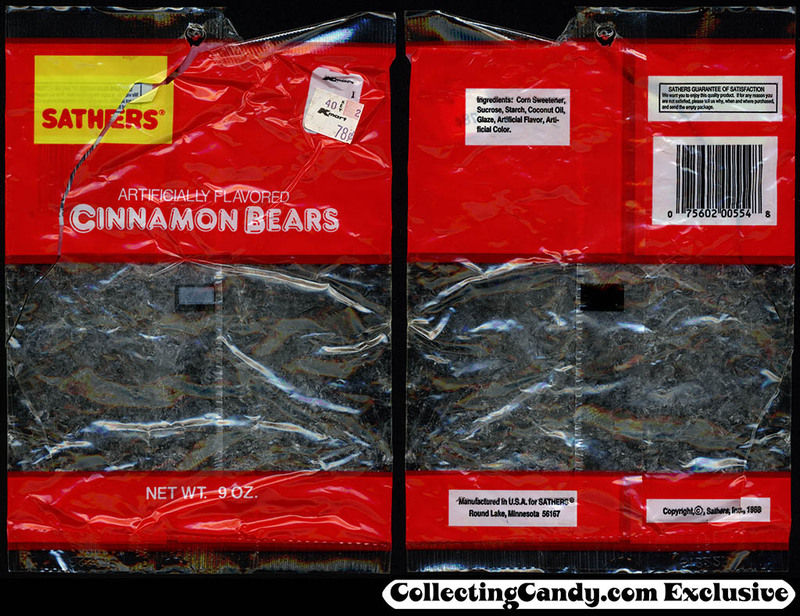 Sathers’ is still putting out their Cinnamon Bears and they are the only ones that I remember seeing around here. The local Alco (Duckwall) store carries them along with the company’s Cinnamon Discs. 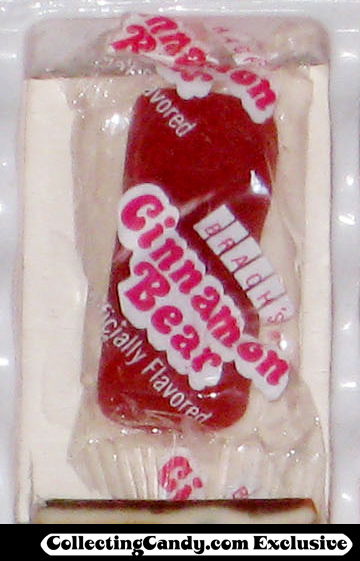 Are these smaller cinnamon bear candies no long made? I prefer the little one vs. the Sather’s larger size, but I can’t seem to locate them anywhere.